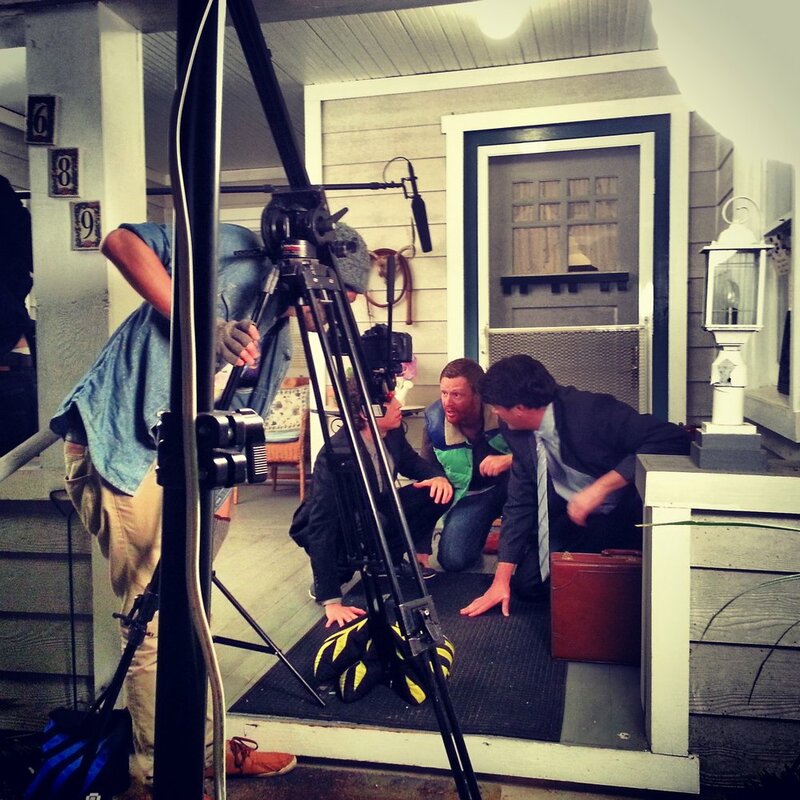 Day one, scene one, roll one, take one... of many! 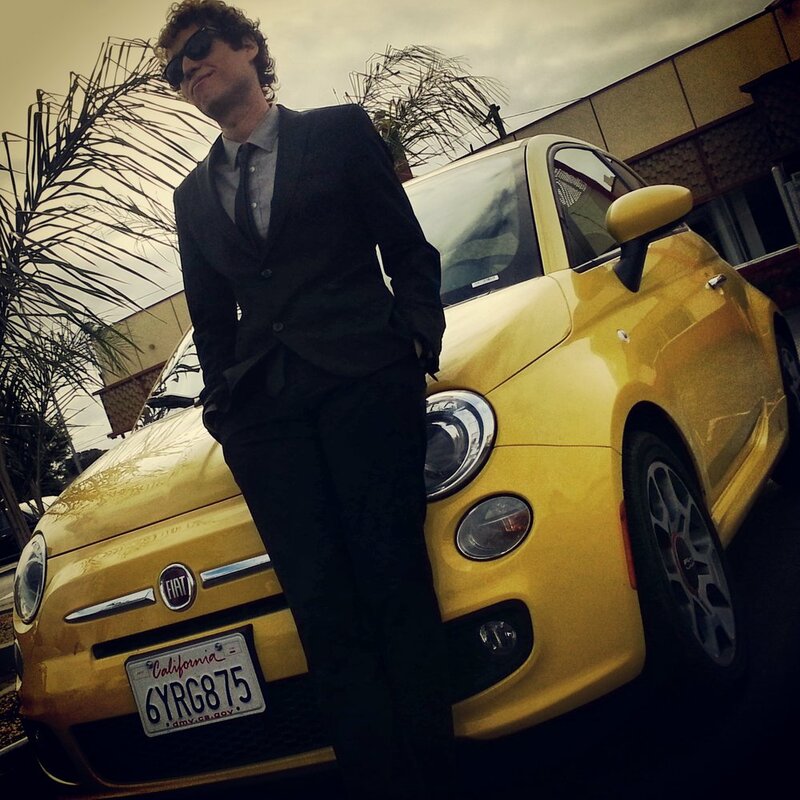 LAWRENCE SHAW (Ari Schneider) leans cooly on his canary yellow rental car. BROTHERS SHAW (Ari Schneider & Ryan Barton-Grimley) stand over their father's grave in the Carpinteria Cemetery. Wait, does this look sad enough...? DIRECTOR/STAR Ryan Barton-Grimley does a make-up test and he's super happy about it! Yeah exactly. I'll go up there and puke right in front of camera. Yeah, it'll be great. CINEMATOGRAPHER (Sean Ayers) ART DIRECTOR (A.J. 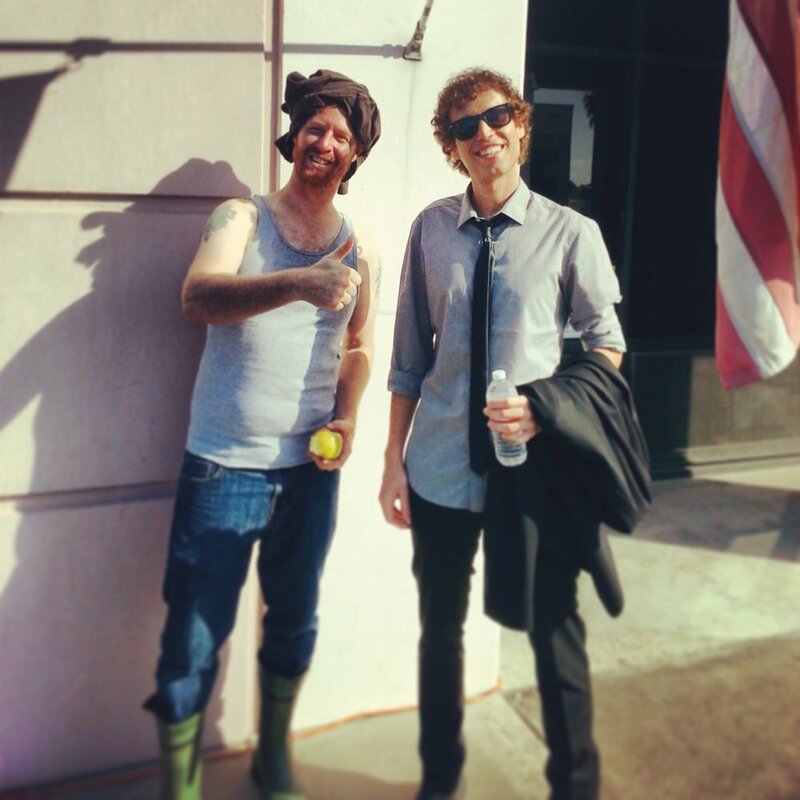 Caulfield) and SOUND NINJA (Joshua Timmer) patiently wait to film the greatest puke scene ever. Hey, we're happy lead actors in a movie that we wrote! BROTHERS SHAW (Ari Schneider & Ryan Barton-Grimley) take an upbeat and patriotic break under old glory. 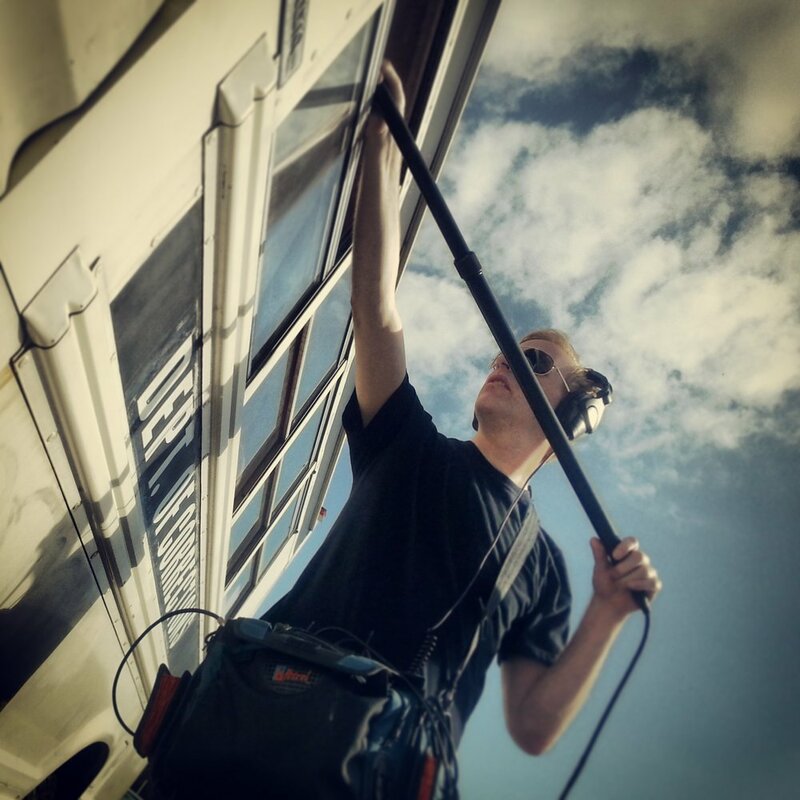 SOUND NINJA Joshua Timmer does his magic through a window on of a prison bus. Damn, it's bright out here. Ari Schneider is tall... so tall he blocks out the sun. Alright guys, let's have fun... wait how does this thing work? LAWRENCE SHAW (Ari Schneider) & SAMANTHA ZUBEC (Toni Charline) prepare for an awkward scene in a Mexican restaurant as DIRECTOR Ryan Barton-Grimley attempts to work the slate. BROTHERS SHAW (Ari Schneider & Ryan Barton-Grimley) prepare to scoop dirt onto lens as CINEMATOGRAPHER (Sean Ayers) diligently awaits. ART DIRECTOR (A.J. Caulfield) inspects the slate. Has anyone seen my owner... I'm lost. 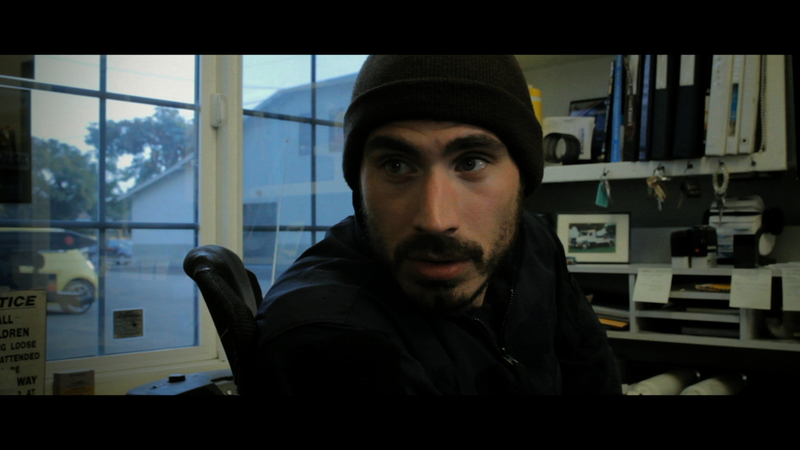 LEXUS (Casey Graf) waits for his/her close-up. Wait, are they in focus? No... yes... I think so. CINEMATOGRAPHER Sean Ayers confers with DIRECTOR Ryan Barton-Grimley about a shot as SOUND NINJA Joshua Timmer prepares for battle. Don't make me take these heels off mister. 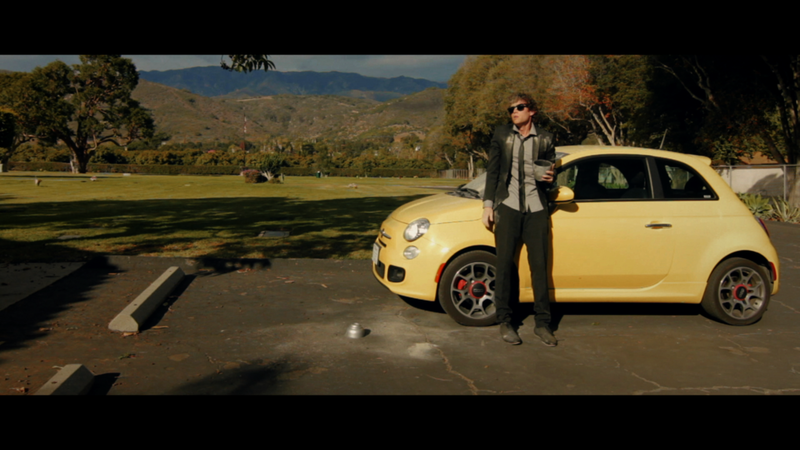 LEXUS (Casey Graf) intimidates KEVIN SHAW (Ryan Barton-Grimley) in a diner parking lot. BROTHERS SHAW (Ari Schneider & Ryan Barton-Grimley) invade a country diner with a classy mural of the Rocky Mountains as the backdrop. Man, these city folk are tiresome. 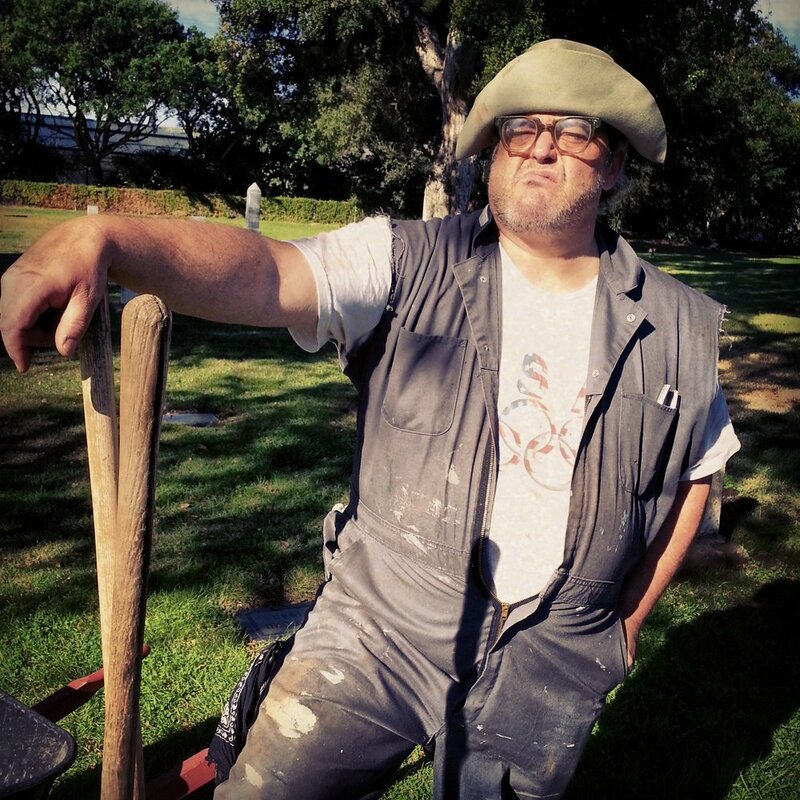 RUSTY (Kevin Mannis) does his best "Captain Morgan" and surveys his graveyard. Ice buckets holding up the coffin... real classy guys. BROTHERS SHAW (Ari Schneider & Ryan Barton-Grimley) stand over their father's coffin. No, I've got the greatest plan ever. No I do. No I do. We drove all the way here and all we got was this stinking sign. 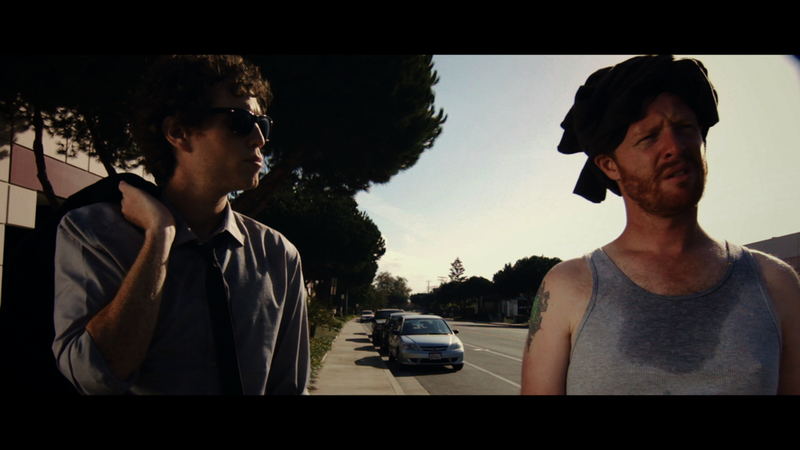 THE BROTHERS SHAW (Ari Schneider + Ryan Barton-Grimley) with a missing handicapped parking sign... relax, it's a prop. What is taking so long... seriously. 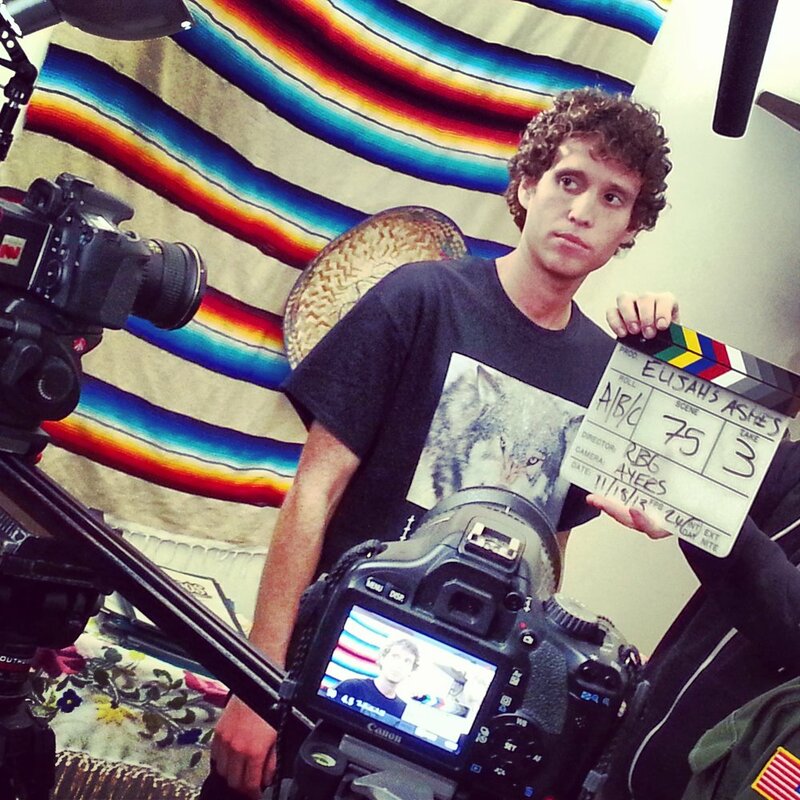 Ari Schneider gets to into character with way too many cameras pointed at him.